View More In Compression Fitting Nuts - Page 4. Recommended for steam service up to 450 degree F. easy to seal. works with existing fittings. Use with boss clamps. 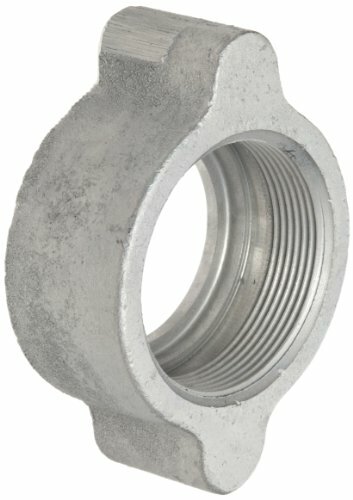 Wing nut for 1-1/4" and 1-1/2" boss washer seal and GJ boss ground joint seal.